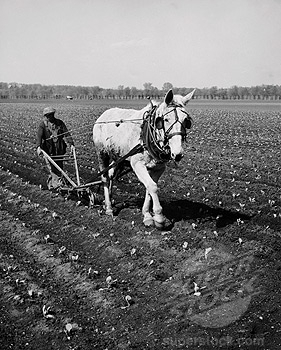 If we were to plow a field, like say the dude in this picture here, we’d need to have our eyes forward at all times. If we drifted off and spaced out and stared left or right, or if we looked at what was past – what would happen? Well, the horse wouldn’t stop pulling, the line we were plowing then would go off course because we weren’t focused on it. The battle is strong within me sometimes to dwell on the past, the ground that has already been plowed. The Word is calling us to focus on right here and right now. We are no good for service in the kingdom if we are focusing on what is behind or the part of the field that we haven’t even plowed yet. Jesus lived the perfect life of obedience to the Heavenly Father while he was here on Earth, and he was focused on the task at hand during his ministry. Thankfully so, because the perfect righteousness that Jesus had is credited to us thru faith in Him – who He was and His work on the cross. He took our sin, paid for it (all of it) – and gave us his righteousness. The Great Exchange as Martin Luther calls it. We believe, but we need to believe stronger. Pray like the father of the demon possessed boy in Mark 9 – “I believe; help my unbelief!” and keep plowing.